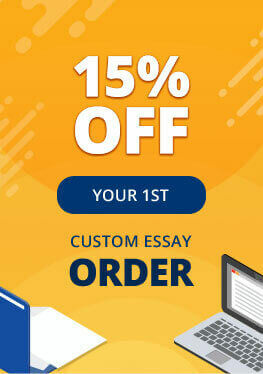 If you purchase academic papers at Supreme-Essay.com, you will get more than a piece of writing. Our company differs much from other writing services because we help students attain the best results in studying. We focus on high customers’ satisfaction rate and allow our clients gain profound writing experience based on perfectly written orders that can serve as model answers. Our writers are fully dedicated and committed to their work. They can complete even the most urgent assignment, irrespective of the topic you choose. Therefore, if you need to write a simple essay or a complex research project, we assure you that our writers will handle this assignment with ease. If you want to purchase custom writing from Supreme-Essay.com, you definitely expect to deal with an experienced and skillful writer. We employ writers with a strong command of English and solid linguistic knowledge. Rely on our online writing professionals and you will see how your grades improve! You can mention different academic levels in your assignment – High school, College. University, Master’s, and even PhD. We assure you that your order will reflect exactly the requested level of writing and instructions will be followed to the full. We always take into account customers’ feedback on our work to improve the quality of our writing services. As our research shows, more and more clients are willing to cooperate with specific writers they have previously dealt with. For this reason, we introduced an option “Preferred Writer” – you are the one who chooses the writers for your assignment. Only with additional 15% to the order price, you can request a preferred writer by mentioning his/her ID. We will do everything possible to assign this writer to your assignment. However, please mind that sometimes your preferred writer may be working on another order. In such a case, we will find equally qualified writer who specializes in your field. The quality of writing at Supreme-Essay.com is always the highest because we hire qualified personnel only. Moreover, you can also indicate several preferred writers while placing the order. In this case, the first available writer will complete your order. We do everything possible to make cooperation with Supreme-Essay.com efficient and productive. Our preferred writers are willing to work on every new assignment you have. Choose our professional writing services and our writers will take care of your academic struggles!